Why not do something a bit different for your kids birthday party. Book our 10 seater RIB for 1 hour trip out to sea then have a party table at the bosuns boat cafe. The trip will take in Camber sands then out to the 2 mile Buoy that you see on the horizon from Rye Harbour. Children from age 7 upwards can come on the boat. We do require a few adults to accompany the children. 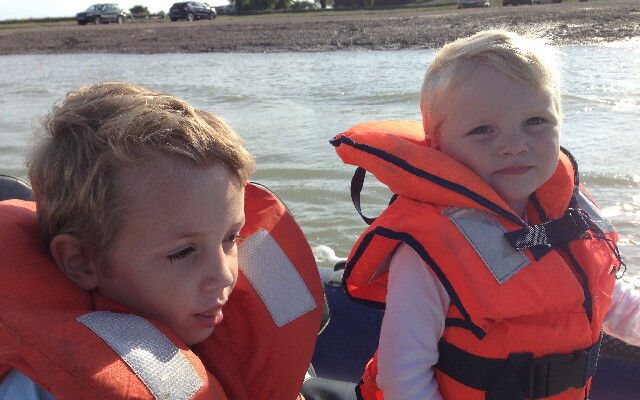 We provide kids/adults lifejackets and a qualified skipper to run the party boat trip. If the sea is too rough on your booked day we also offer a trip up the river Rother into Rye to see all the boats and town quay etc. To book the boat for 1 hour is £195. This can be used for 9 people for the full hour or be divided into smaller trips for more children. Longer trips can be taken please contact us for more details. The local pub The William the Conquerer has recently been refurbished. The food is fantastic and a buffet can be pre booked.